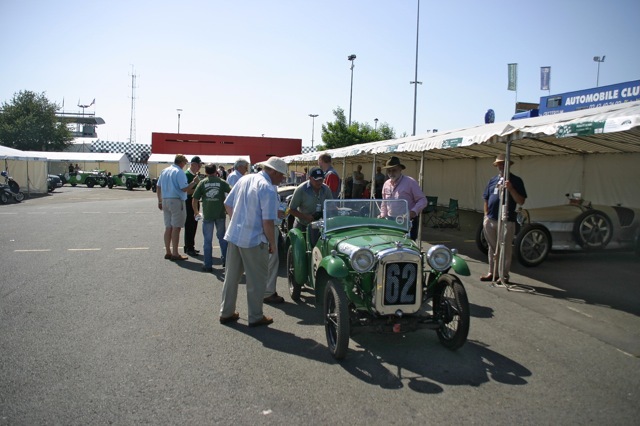 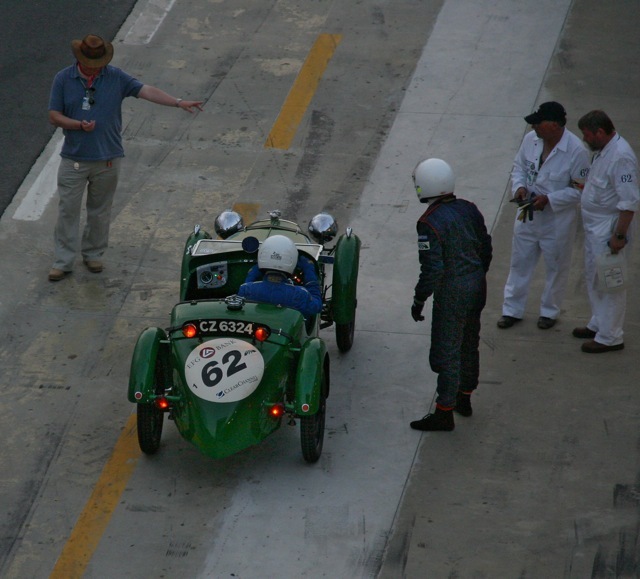 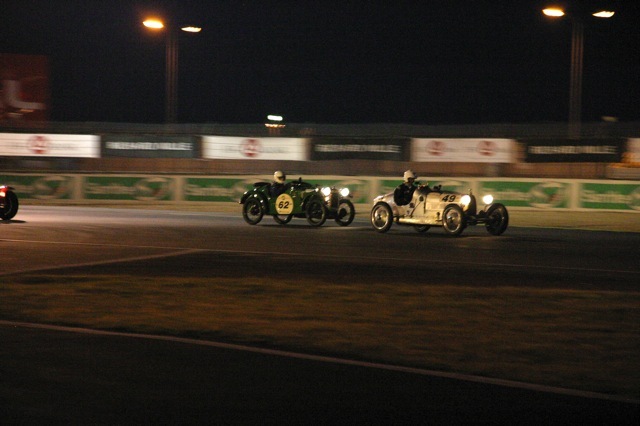 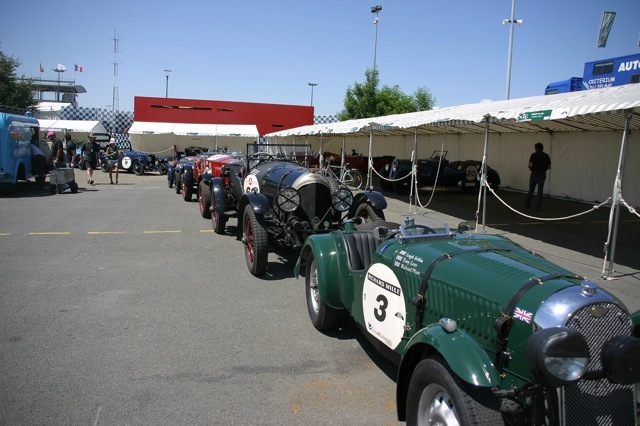 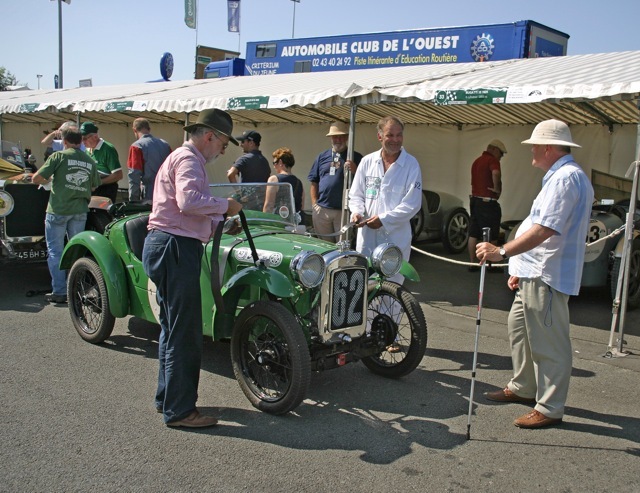 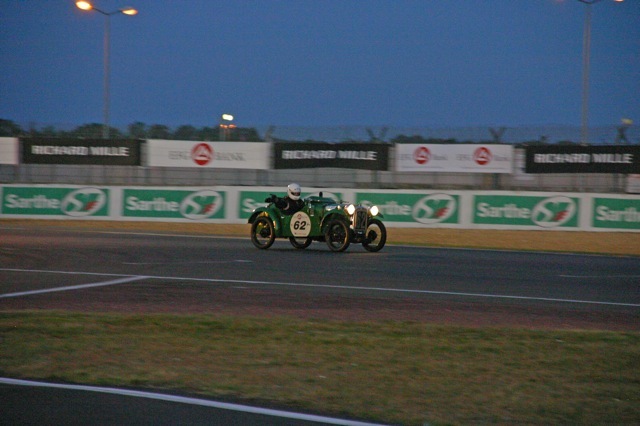 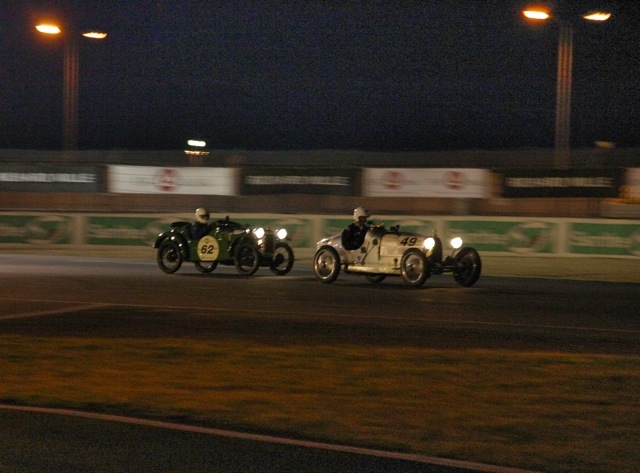 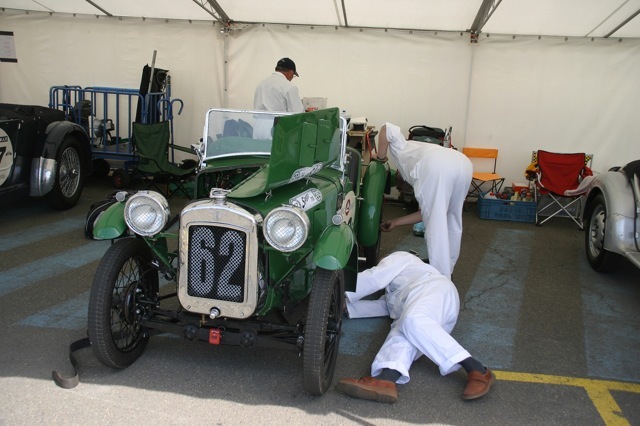 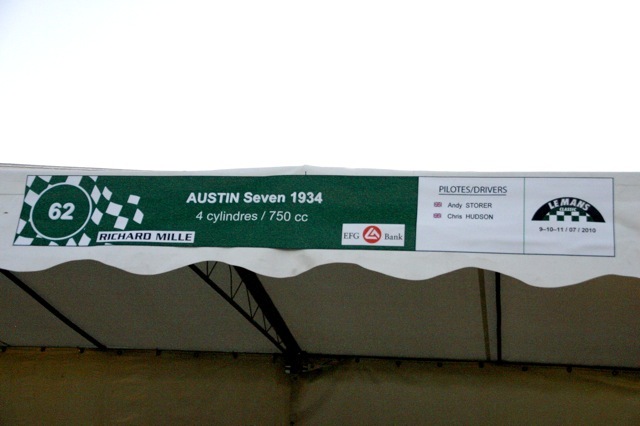 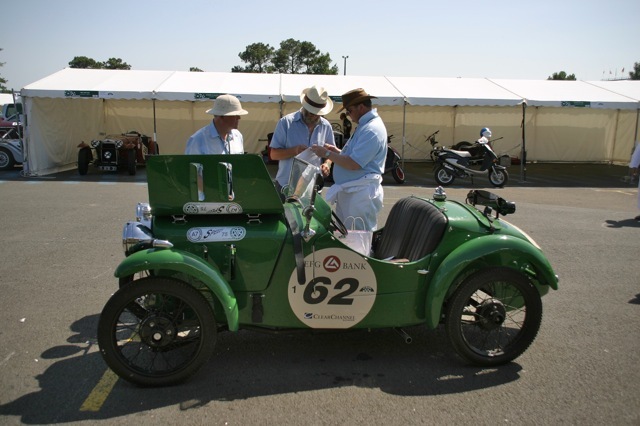 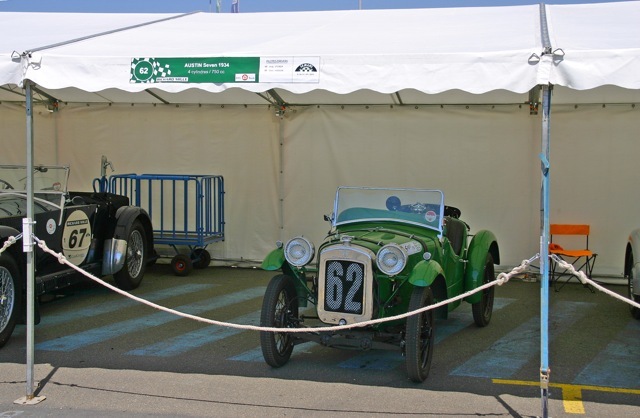 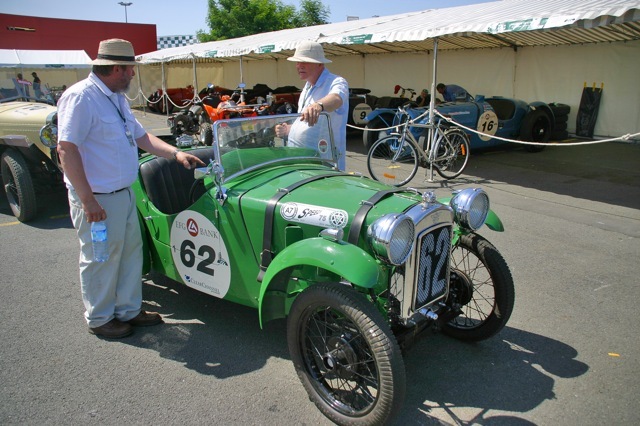 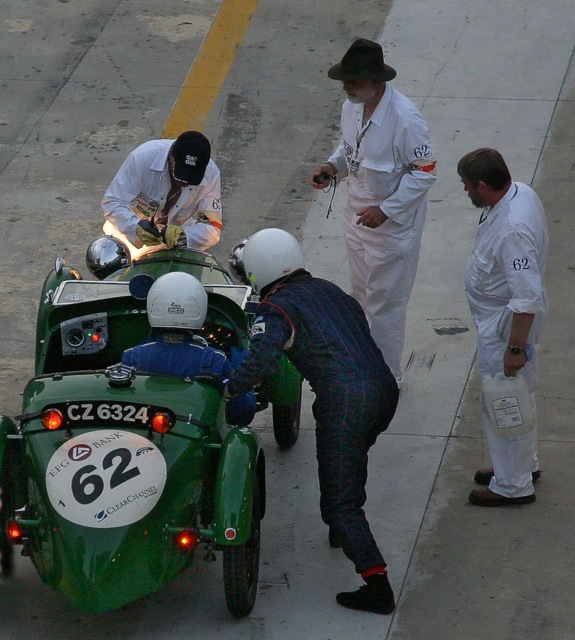 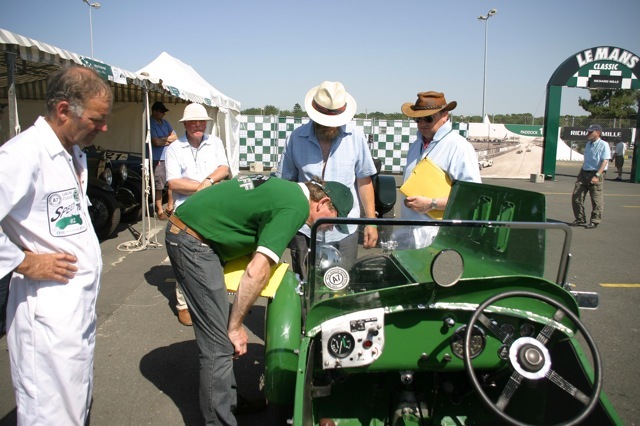 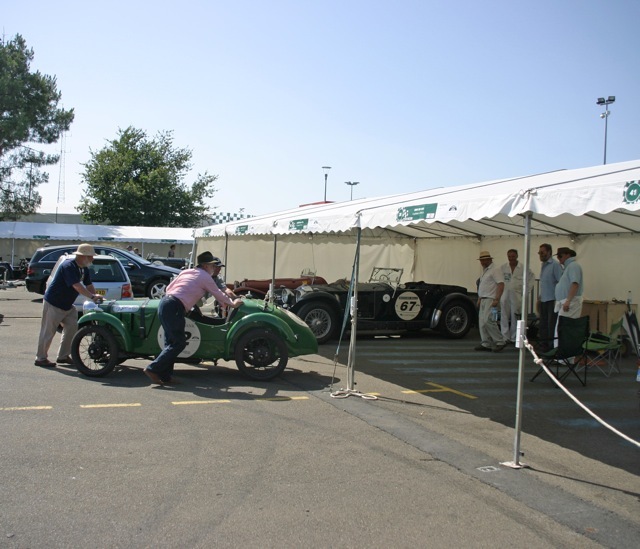 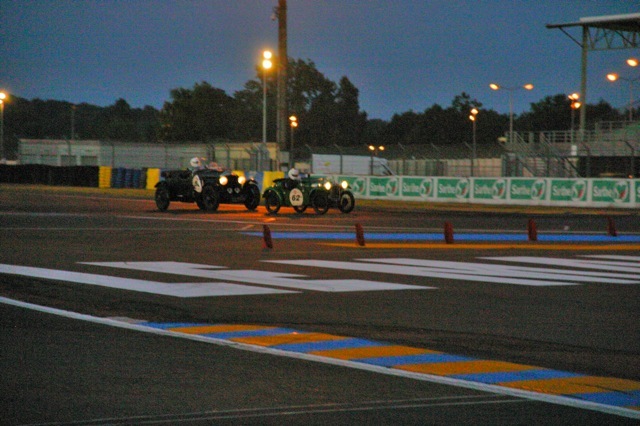 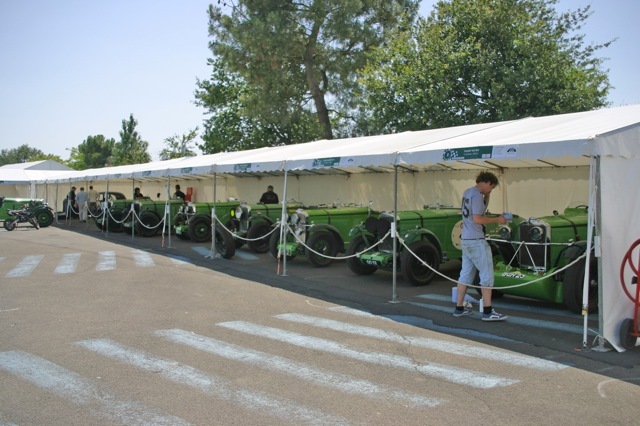 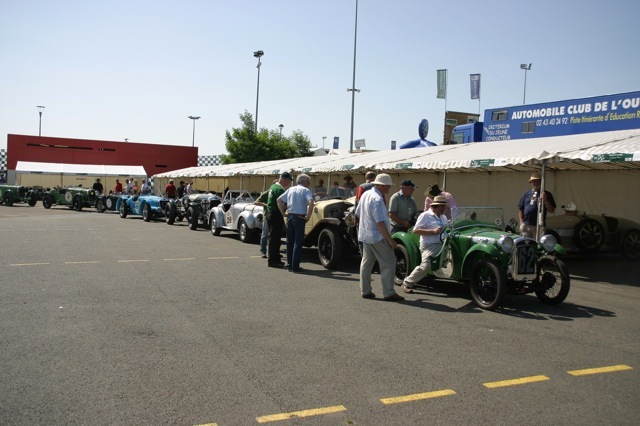 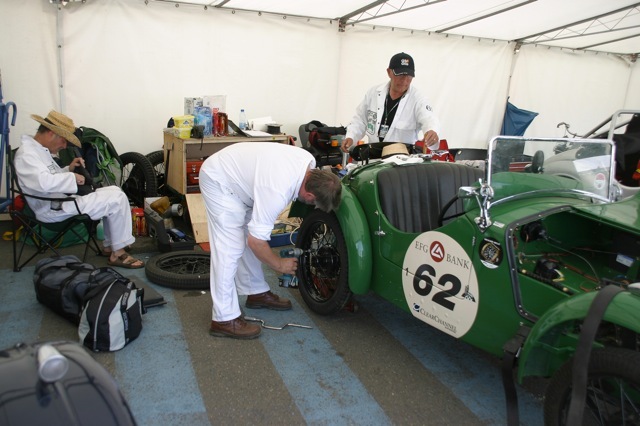 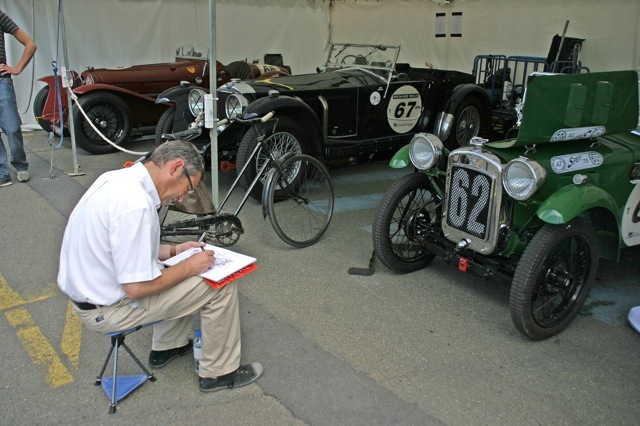 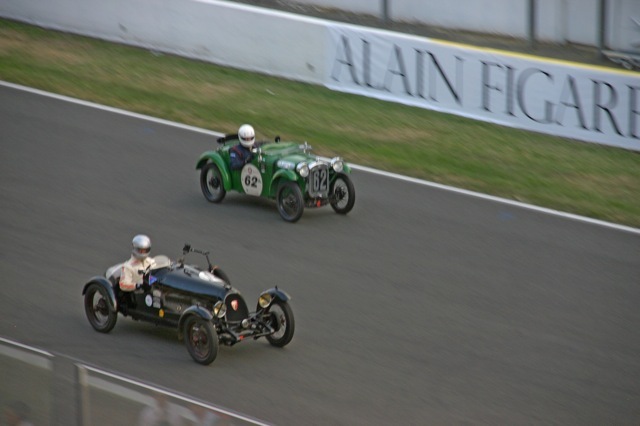 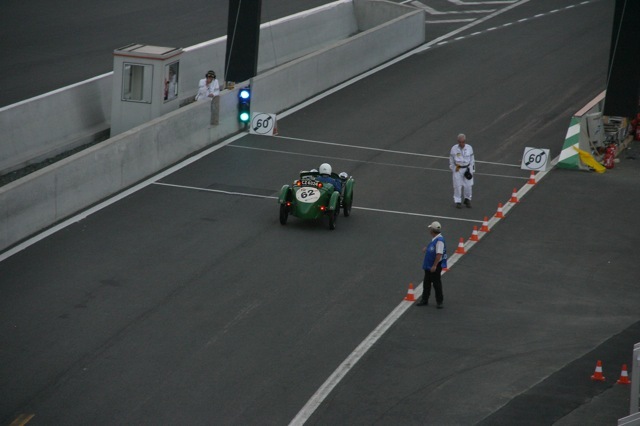 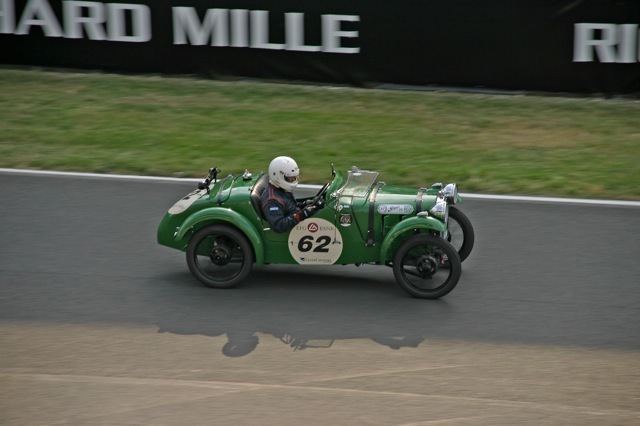 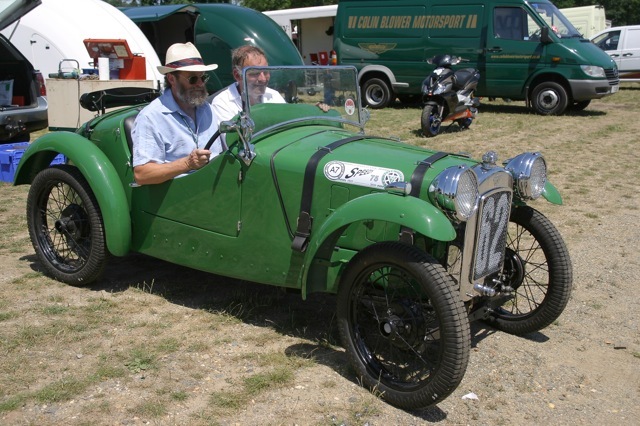 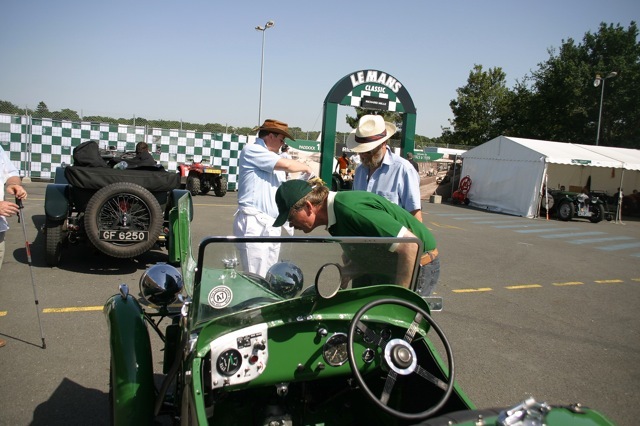 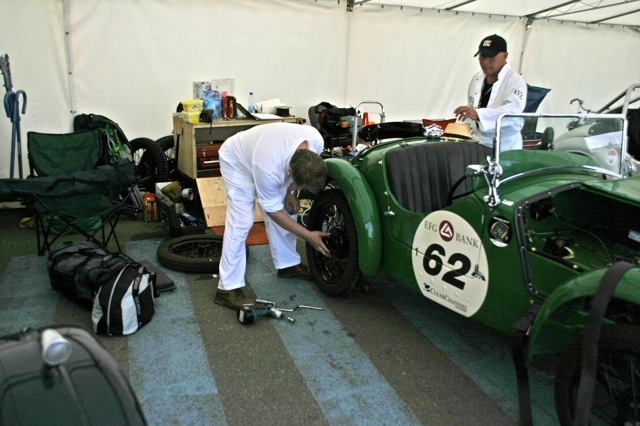 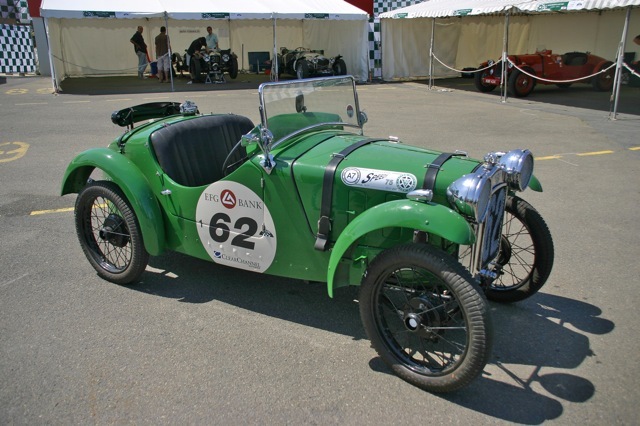 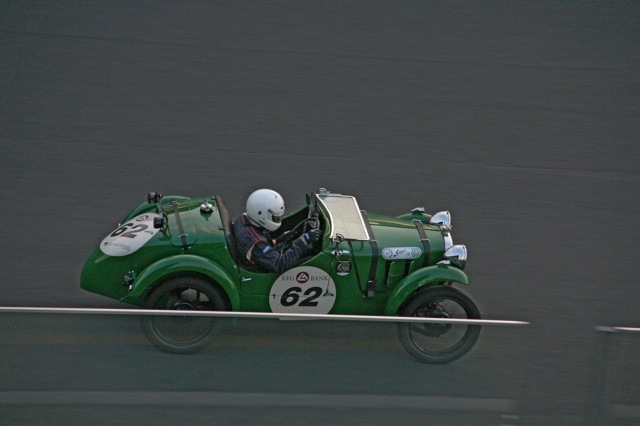 A 1934 Austin Seven Speedy competed in the 24 hour Classic Le Mans race on the weekend 7th / 8th July 2012. 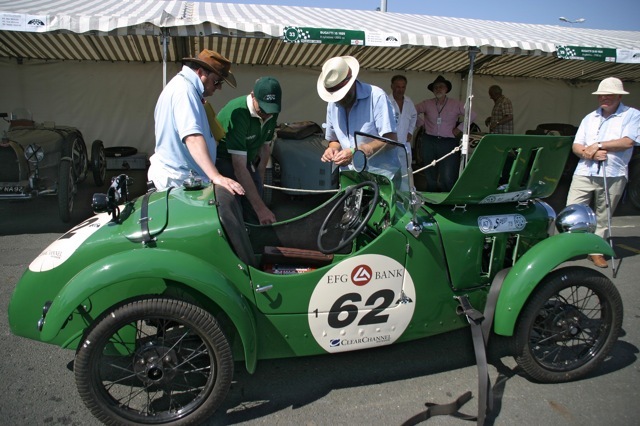 The car, reg no CZ 6234, then owned by Harry Ferguson's garage in Belfast (he of four wheel drive & tractor fame) competed in the 1935 event, winning its class and beating the Austin Works entry car by three laps. 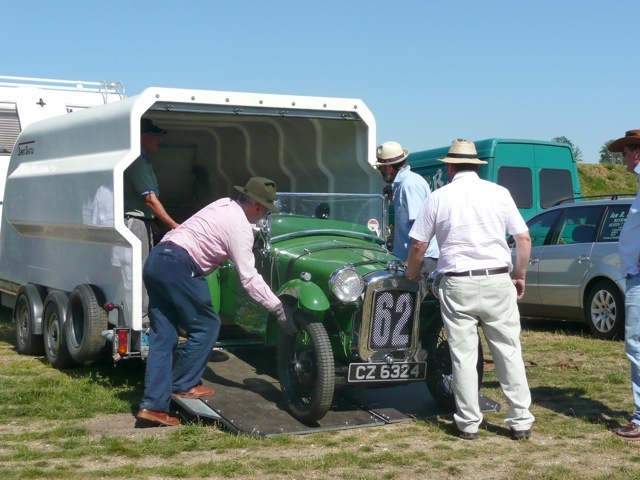 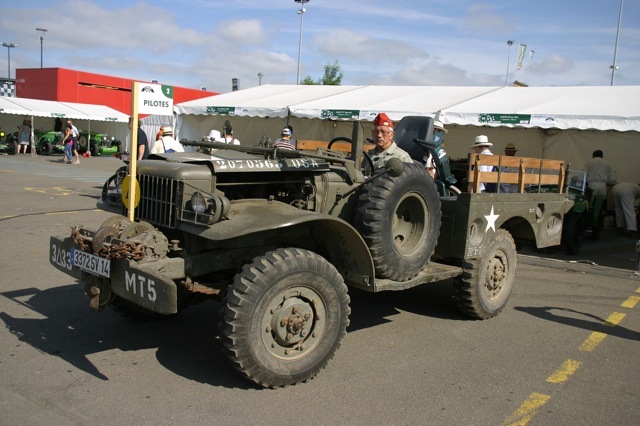 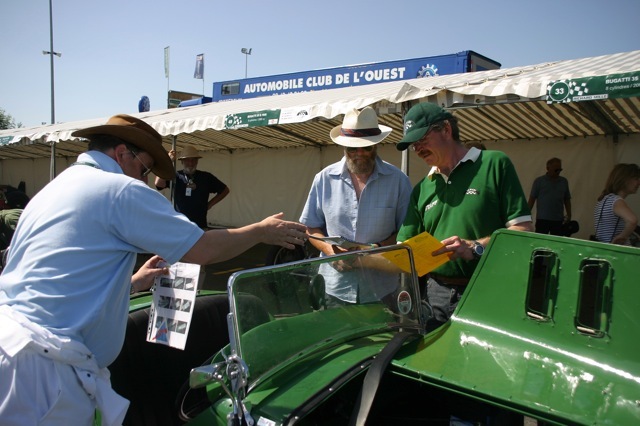 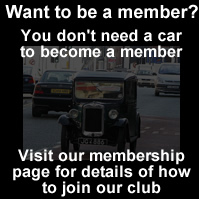 Over the years the car was used in a variety of speed events and in 1985 was purchased by PWA7C & VSCC member Peter Butler, who set about a full restoration. 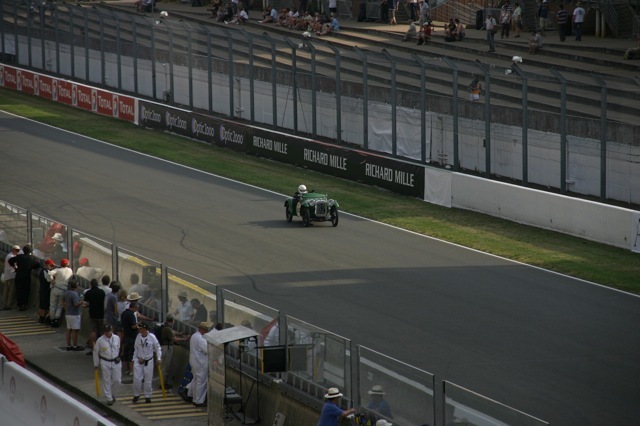 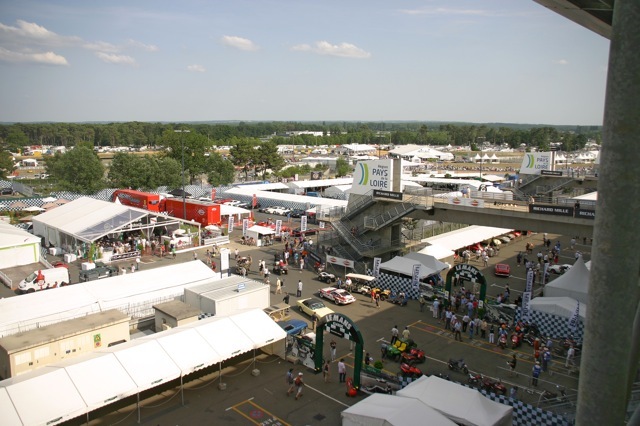 Scroll forward and the car was again entered for the 2010 Le Mans Classic where it never missed a beat, completing the weekend without incident. 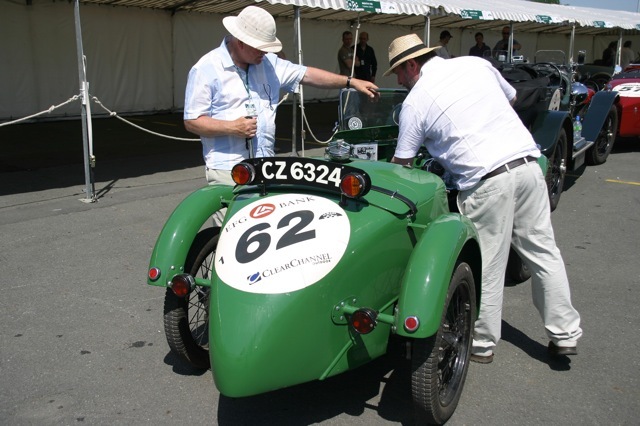 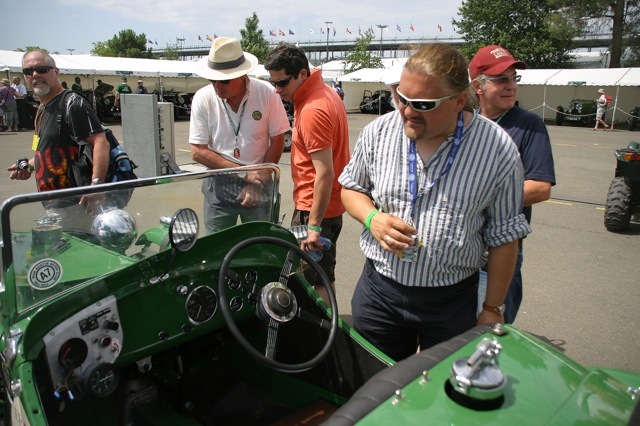 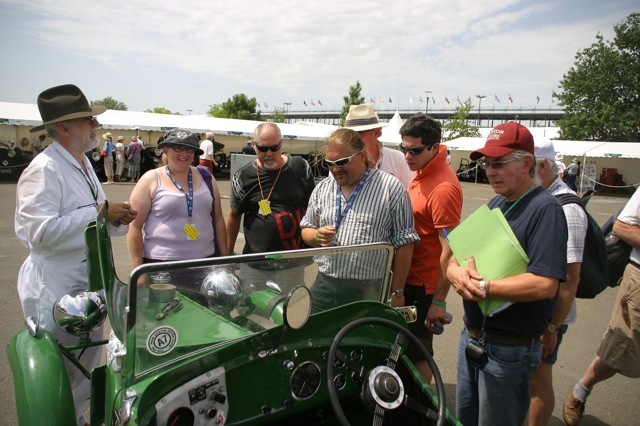 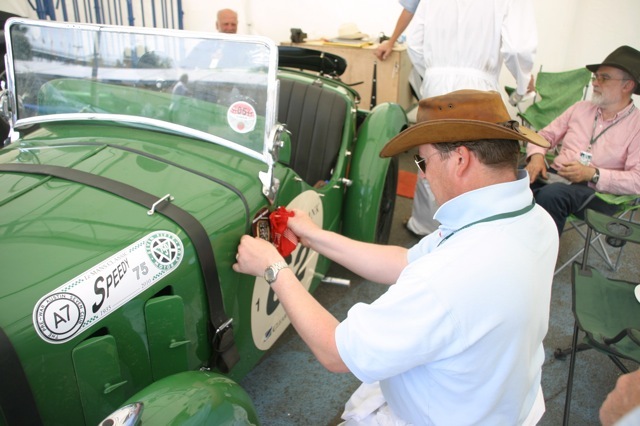 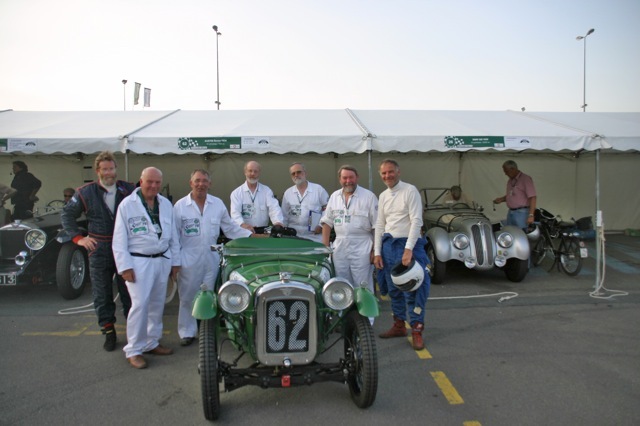 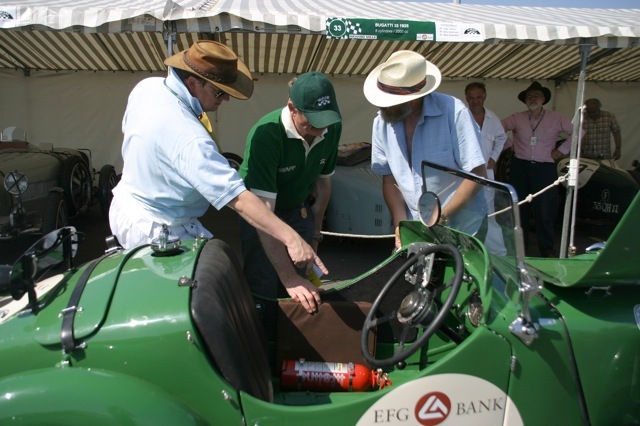 The car competed in 2010 with the same drivers, Chris Hudson and Andrew Storer, both fresh back from a successful trip in Andy's 1931 Ulster in the 2012 Mille Miglia, alongside Peter; this year additional support was given by PreWar members Graham Beckett, Ian Bancroft, Stuart Ulph and Chris Garner. 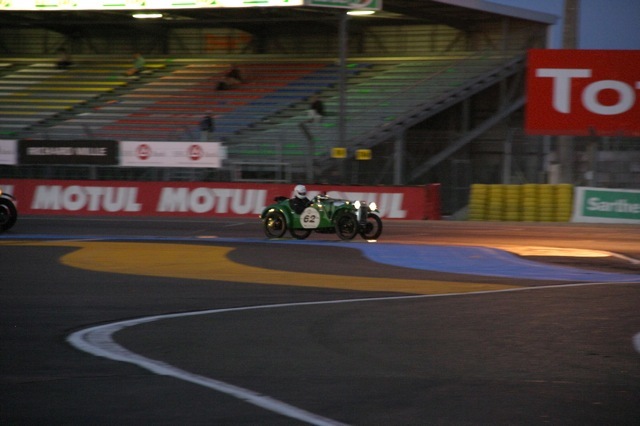 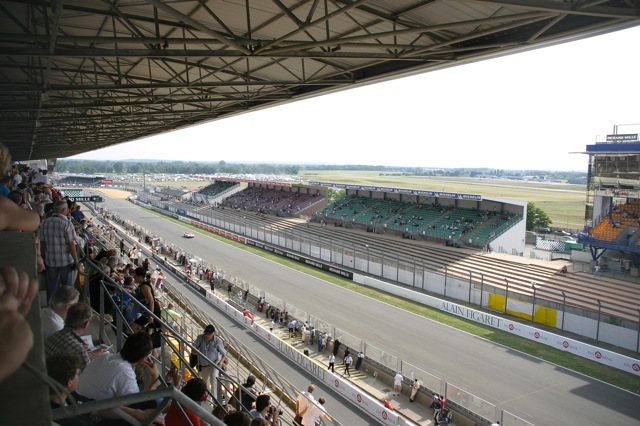 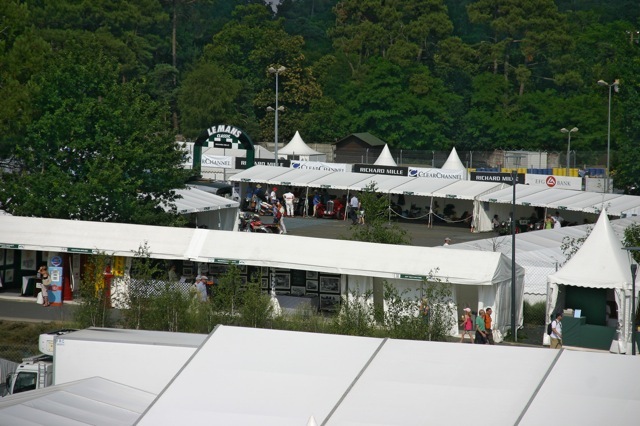 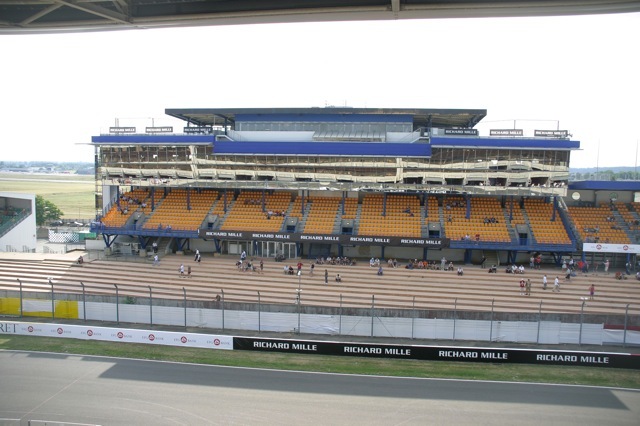 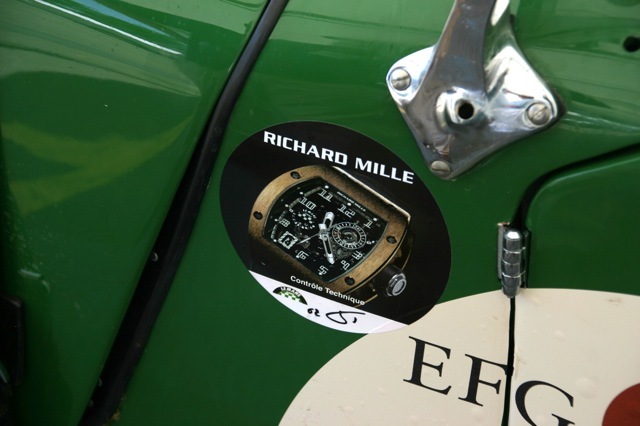 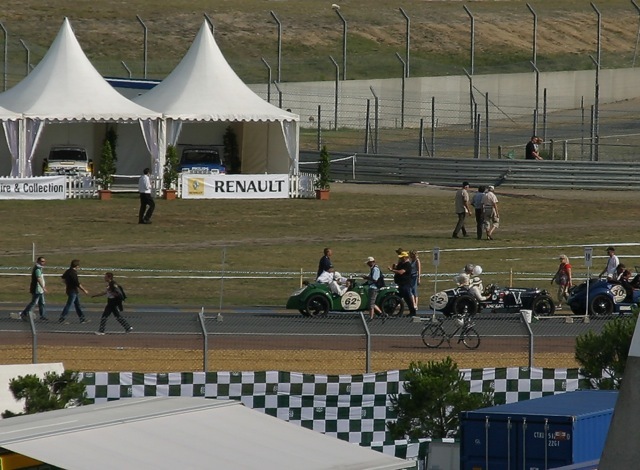 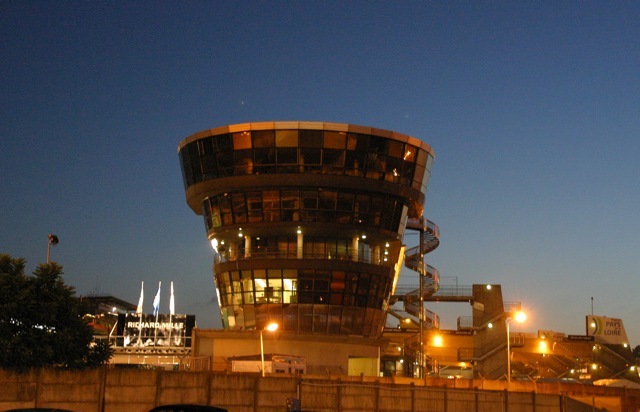 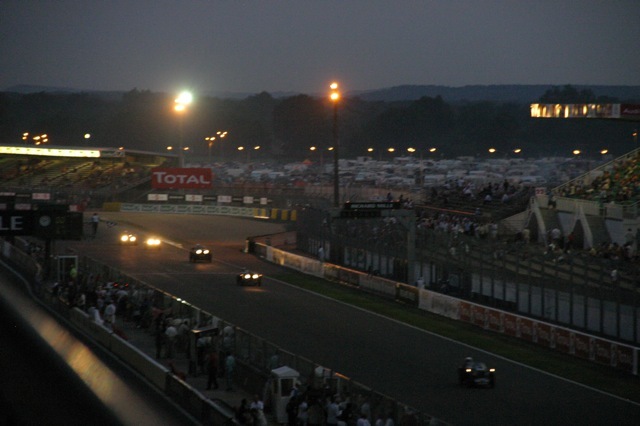 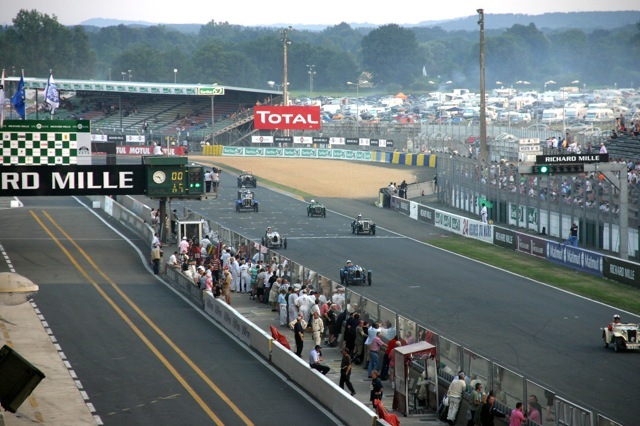 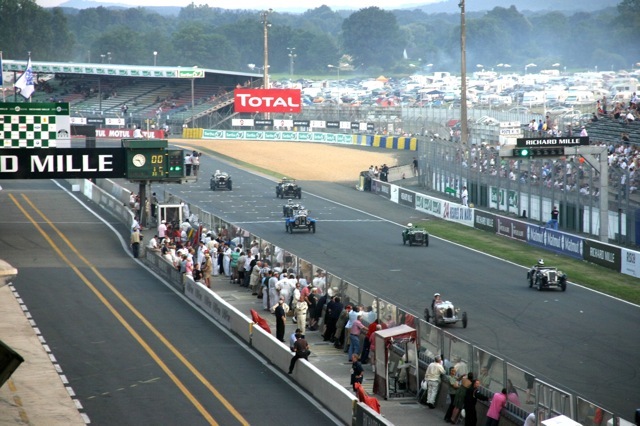 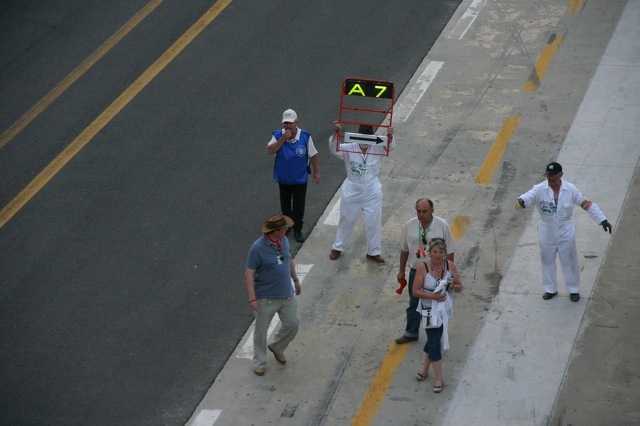 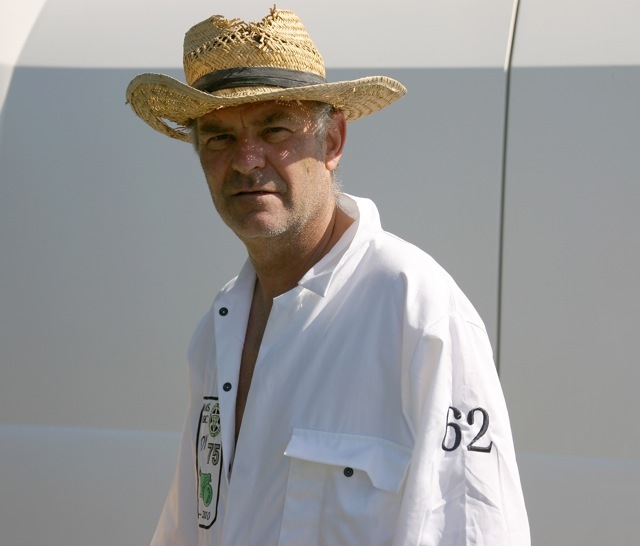 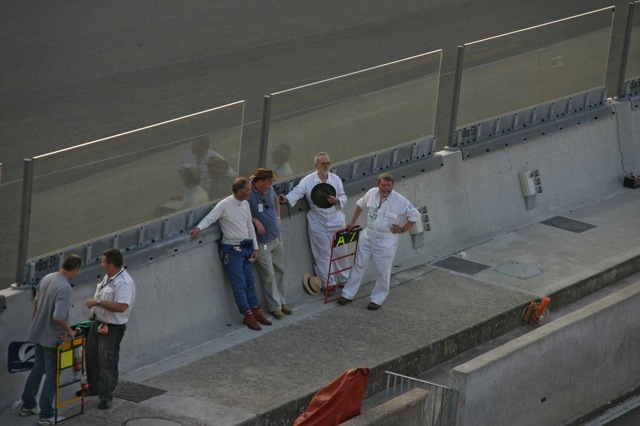 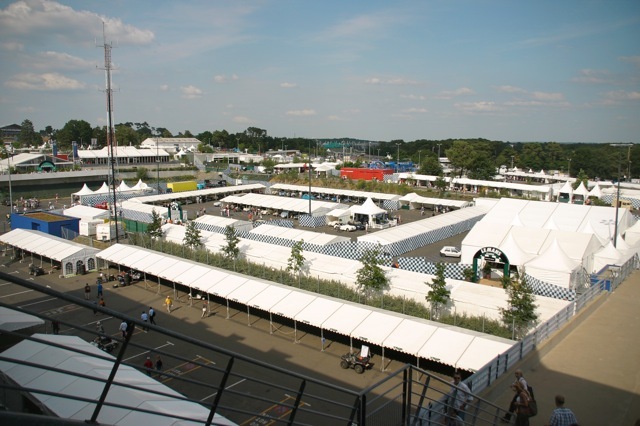 Read Stuart Ulph's report of the Speedy's second Le Mans here. 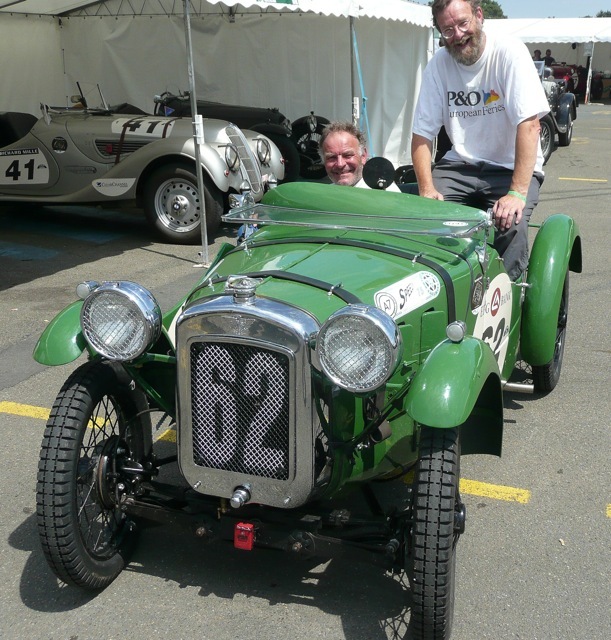 You can read Dave Wilcox' report here.